Throughout the year, there are many Keelung festivals to visit. Most of these festivals operate according to the Chinese Lunar calender, so dates will vary from year to year. 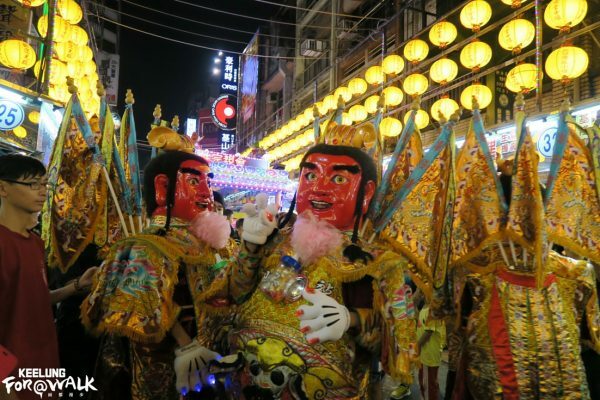 If you are planning on visiting Keelung or Taipei during these times, make sure you do not miss these lively festivities as Keelungers love a good reason to celebrate! The Lantern Festival is one of Taiwan’s tourism highlights and takes place annually during Chinese New Year. Pingxi is located within 1 hour and 15 minutes from Keelung. Considered a must see by many travel guides, the night sky is illuminated with 100,000 to 200,000 floating lanterns carrying the dreams and wishes of its owners into the heavens. The “launches” start at 6:30pm and happen three times an hour until 9:30 pm. 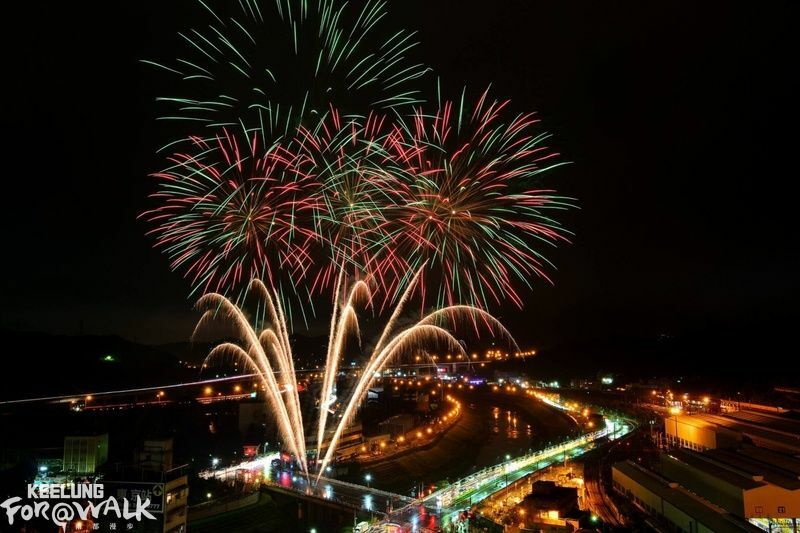 Qidu is a riverside settlement in Keelung and every year in February there is a fireworks festival. The festival originated from a time where on lantern festival day, residents on the two sides of the Keelung river would shoot fireworks in friendly rivalry. Other festivities include a railway photography contest, railway culture exhibition, stamp collection activity (two stamps for a free limited-edition Easy Card). These events are in celebration of Qidu’s landmark, a Japanese-colonial architecture “Old Qidu Railway station” in the Qidu Railway Cultural Park. 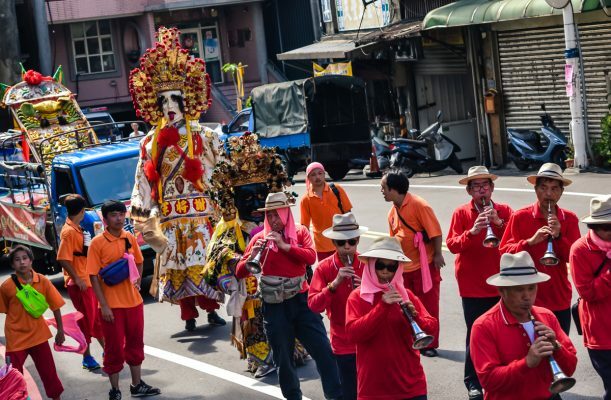 This is one of Taiwan’s most unique festivals. During the annual lantern festival, to bless Yehliu fishermen for a safe departure and return and a big catch, people carrying a palanquin will jump into the water at the port. A palanquin is a covered box-cart that is mounted on 4 poles and carried by 2-4 people. 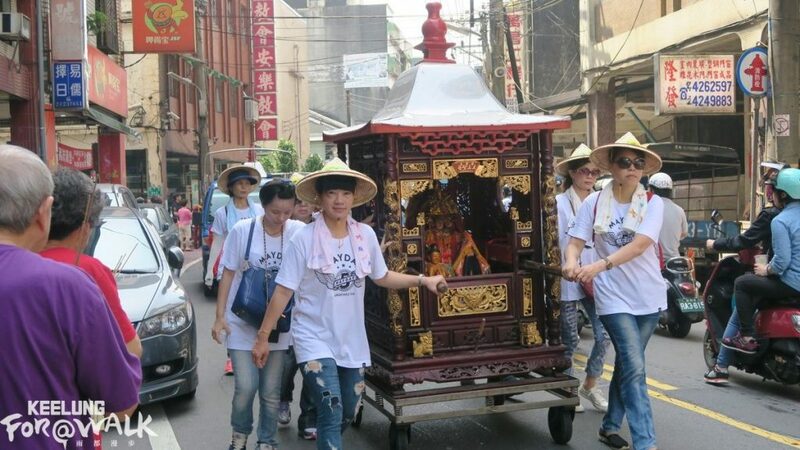 Around noon, warriors can be seen carrying a palanquin and firewalking. The BoaAn Temple also keeps the tradition; with residents offering big piles of rice packs to giant tortoises for the blessing of the new year. Here every lunar April, you will find the unknown but lively festival, welcoming Guandu Mazu (the Chinese Goddess of the Sea). Per festival tradition, one of the old Keelung river basins – Central Keelung, Sheliao (Peace Island), and Fairy Cave – is visited each day until the last and grandest stop of them all, Oyster Shell River. In addition, the parade also invites the gods from Jinshan and Yehliu, a Music Club playing Beiguan (traditional Taiwanese music), a lively dragon and lion dance, and exotic girls with umbrellas. The dragon boat race is a famous event in Keelung at the Badouzi Fishing port. It is festive time where locals compete to see which is the fastest dragon boat. Teams train for the whole year in preparation for the event and dragon boats are carefully painted to maintain their vibrant colour. Beside the Dragon Boat Race, there are painting competitions, the stand the egg at noon activity, fairs and sing and dance competitions. The “Wangye” god is worshipped on his birthday every year on the 15th day of the 6th lunar month. There is a procession/parade through the streets of Heping Island in Keelung where the whole town participates. Firecrackers, music, gongs, costumes and performances will run from noon to 4pm. Followed by a night king feast celebration. 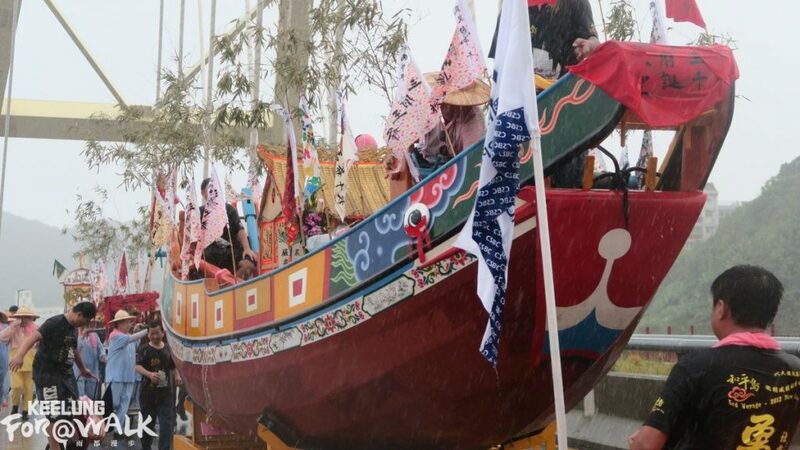 A few days after the land procession, fisherman take Wangye boats around the ports of Keelung area playing music for Wangye and throwing paper sacrifices into the ocean to the gods, and this ritual helps remove bad luck and bless the fishermen’s harvest. During the seventh lunar month, Keelung is host to Taiwan’s most renowned Ghost Festival, a festival lasting the entire month. Highlights include folk-art performances, the opening of the Gates of Hell and the release of burning water lanterns. The Ghost Festival consists of a different ritual on each day, but the major rituals fall on the days between the 12th and 15th days of the 7th lunar month. On the 12th day, the Taoist exorcism takes place; lamps on the Zhupu altar are lit, casting spectacular rays of colored lights across the city. The 14th day features a large-scale parade with celebrations and performances in the city center, marking the occasion for the water lantern release. 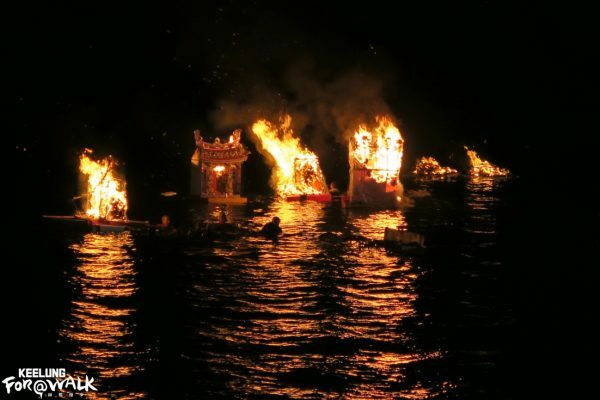 After the parade, the water lanterns are lit and set adrift down the seashore of Keelung to honor and reconcile with the spirits of the drowned. 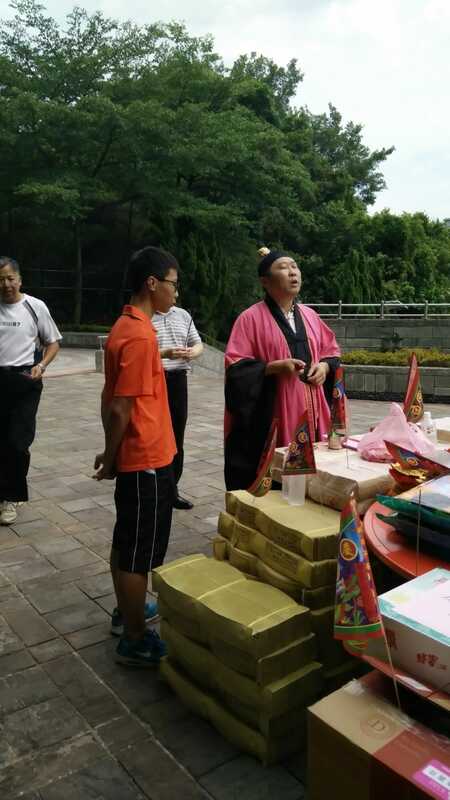 On the 15th day, a public Taoist prayer is held as a sacrificial ritual at the Zhupu altar. In addition, every household has its own sacrificial ritual known as ‘Pudu.’ Incense and food are offered to the spirits to keep them from visiting homes, and spirit paper money is also burnt as an offering. At midnight, the ritual of Chung Kwei (a deity who protects people and places from evil spirits) begins, and he comes to calm the ghosts and keep them from disturbing the living. Experience and learn more of these festivals with us in our culture tour! An Australian chinese who loves to travel and explore different cultures. On a one year journey volunteering and travelling around Asia, Europe and America. Taiwan and Keelung in particular hold a special appeal with it's friendly people, good food and interesting history and culture.